These concerts take place in a friend of mine's living room in Durham. It is a wonderful room with a high ceiling, great acoustics, and holds about 70 people sitting down. The shows are all acoustic - we don't use a sound system, so there are no speakers or PA system - nothing between you and the musicians. Tickets must be reserved in advance, and go on sale via e-mail and phone about a week before each show. Once you've reserved tickets, you will recieve directions to the show (located near Ninth Street in Durham). All shows begin at 7:30pm, and you are welcome to bring food and drink for yourself or to share with others. If you'd like to get on the Cosmic Hoedown Mailing List and receive early notification of these shows, just drop me a line at <dave@hoedown.org> or call (919)-834-8667. Also, please let me know about your favorite performers who deserve more attention, and we'll try to bring them to town for a show. Two of North Carolina's finest rootsy contemporary singer/songwriters, Chuck Brodsky from Ashville and Bruce Piephoff from Greensboro will be sharing the stage Thur Feb 3rd for a great evening of original songs. Both of these guys play music full time and are very active on the road throughout the southeast and all over the U.S. Although they see each other infrequently, and have never recorded together, both have a knack for turning everyday occurances and people into living, breathing poetry and song along with fluid, complex, fingerstyle guitar work. 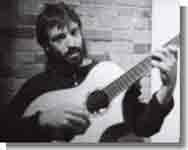 With arresting songwriting, groove-oriented guitar playing, and a soulful, compassionate voice, Chuck Brodsky quickly became a fixture on the acoustic scene. His debut CD, "A Fingerpainter's Murals" (Waterbug Records) was a critical favorite. In 1992 he won the Emerging Songwriter Award at the Napa Valley Folk Festival in California, and started playing full time, with great experiences at the Kerrville Folk Festival and tours across the U.S. His tune "Lefty" (which appeared on a compilation cd "American Impressionist Songwriters") about a washed-up baseball pitcher trying to hold on a little longer got him a lot of attention from both fans and fellow songwriters. The song that cemented Brodsky's reputation as a funny and trenchant songwriter was "Blow 'em Away," a delightfully nasty blues about a pistol-packing commuter. After moving to Red House Records, Brodsky released "Letters In The Dirt", and later "Radio" - which both recieved critical acclaim and wide airplay. Although originally from Philadelphia, Chuck now makes Ashville his home, and continues to write more songs about baseball than anyone else we know of. new songwriters to come along in the past few years." --Sing Out magazine. 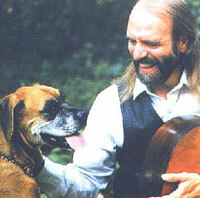 Piephoff (pronounced "pea-off") is a Dutch word meaning "courtyard musician." This seems appropriate for the troubadour who has always performed in the folk style. Bruce Piephoff learned to play guitar and harmonica from his dad and picked up various techniques from individuals and from listening to Elizabeth Cotten, Doc Watson, Hank Williams, Bob Dylan and others. He began by emulating the masters-Woody Guthrie and Leadbelly-gradually evolving into a songwriter and poet because of the need to tell his own stories. He writes "new old songs," you might say. While an English major at UNC Chapel Hill, he began writing his own material and left school after two years to travel around and learn the folksinger's trade. Inspired by American songwriters and poets such as Woody Guthrie, Bob Dylan, Townes Van Zandt and Charles Bukowski, Bruce began to play out in the little bars, cafes and restaurants where folk, blues and poetry were performed. He has a collection of poems entitled Honky Tonk Stradivarius available in a handmade book from Yonno Press. 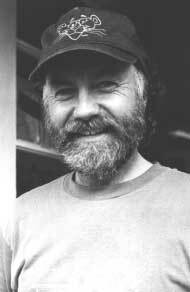 Bruce has also recorded six albums of original songs and poems on the Flyin' Cloud label, with the most recent being "Deep River Anthology", which has received extensive airplay here in the Triangle. know. " --Fred Chappell, N.C. Poet Laurate and Prof. English UNC-G.
http://www.tncc.cc.va.us/.\ARTIST\artist_main.html for info on Bruce. Jerry and Tammy Sullivan have become one of gospel music's most beloved successes. This father and daughter duo, who trace their musical lineage back more than 60 years, are beneficiaries of a rich family tradition of acoustic gospel music. In the late 1970's Jerry and his then fourteen year old daughter Tammy became a team, with Jerry singing and playing guitar while Tammy sang lead and played upright bass. They have released numerous albums and continue to travel around and perform live at churches throughout the South. Jerry and Tammy also appear at bluegrass festivals, in concert with many country artists, and at summer music festivals and several network television programs. Jerry and Tammy's music is both traditional and contemporary. They live and sing about a timeless message of faith and inspiration in a unique Bluegrass-Gospel style. Recently, Jerry and Tammy have begun to attract a lot more attention, most notably with the Aug '96 Grammy Nomination in the "Country/Southern/Bluegrass Gospel" category as selected by the National Academy of Recording Arts & Sciences, Inc. (NARAS) for their recording At The Feet of God on New Haven Records. 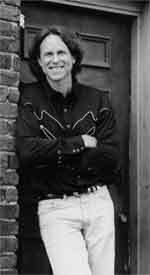 Even more recently, country-music-star-on-the rise, Andy Griggs, has credited The Sullivan Family Band as a huge source of inspiration to him in his writing and recording projects. This attention was not lost on Bluegrass legend Ricky Skaggs when he signed The Sullivans to his Ceili Records label - the same label that has released wonderful records by The Del McCoury Band and The Gibson Brothers Band. The new recording Tomorrow, was produced by Marty Stuart and is due to be released in the next few months. For their Feb 23rd Cosmic Hoedown House Concert, Jerry and Tammy will be appearing as a 5-piece band. Don't miss this chance to see one of the finest Bluegrass Gospel acts on the road today in this all-acoustic performance. Tickets for this show are ONLY AVAILABLE through the NCMA Box Office (919-715-5923, Tuesday-Friday 9:00am-4:00pm). The show costs $18 to the public, but you can save $3 - ask me how. This is a special show presented by the North Carolina Museum of Art in Raleigh, in association with The Bull City Cosmic Hoedown - kicking off the NCMA's Parlor-Concert Series, which takes place at the NCMA on Blue Ridge Road in Raleigh. A celebration of American music based on the many styles and textures of the Steel-Stringed guitar. Diverse styles such as blues, folk, country, bluegrass, and honky-tonk will all be represented by some of the finest performers on the national scene during this special concert. Heading the list of performers is Piedmont blues great and recipient of the National Heritage Fellowship Award John Cephas, accompanied by harmonica wizard Phil Wiggins (both of who have appeared at the Bull Durham Blues Festival!). 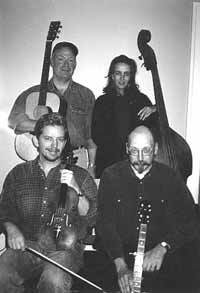 The line-up also includes Appalachian guitarist and master guitar-maker Wayne Henderson, another National Heritage Fellowship honoree; Kentucky native Eddie Pennington, a national thumb-picking champion who was raised in the tradition of the legendary Merle Travis; and Johnny Bellar, a Nashville session dobro player and member of the Grand Ole Opry. This extraordinary collection of musicians has been assembled by the National Council for the Traditional Arts, the venerable presenter of the best in American folk music and culture. Tickets for this show are only available through the NCMA Box Office ((919)-715-5923, Tuesday-Friday 9:00am-4:00pm) or at the door. The show costs $18 to the public. If you want to save $3 per ticket, e-mail me for details. Who woulda thunk it? 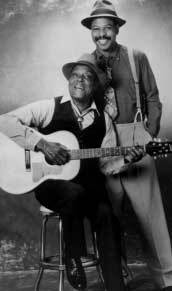 Two of the original members of The Red Clay Ramblers releasing two new records in the last year or so?? What better way to celebrate these two recent records and these talented fellows than with a concert featuring Mike and Jim performing songs from their new recordings as well as playing a few old songs together. 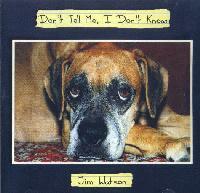 Last year we saw the release of Jim Watson's solo record "Don't Tell Me, I Don't Know" (on Chapel Hill's fine Barker Records label) -which featured a who's who of local and nationally known players and lots of old friends of Jim's. These days it is rare to see Jim Watson in concert in these parts, as he is busy playing bass and singing with the hard-working, hard-touring Robin and Linda Williams and Their Fine Group. 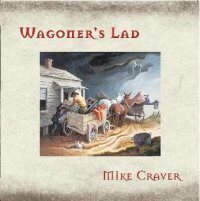 This summer we saw the release of Mike Craver's new solo record "Wagoner's Lad", a very ambitious songwriting project that Mike created and recorded on his own label (Sapsucker Records), which has received a lot of airplay from a number of stations (both big and small) all over North Carolina. Mike's new record and his debut performance of it at the North Carolina Museum of Art created quite a stir in the local papers. Mike has also been very active in several musical theatre projects recently, both inside and outside of North Carolina. These include: Bosh and Moonshine at the Gaiety Saloon, Radio Gals, and Jack Herrick's Bah Humbug! Red Clay Rambler fans, old-time and country music fans, and fans of great songwritng will all want to make it to this special concert featuring two of the area's favorites together again. To get your own copy of Mike's or Jim's new record, you should check out (current Red Clay Rambler) Chris Frank's wonderful web site eFolkMusic.com and order yourself one (or two) of these records right quck. Photo from the Meeting In The Air lp on Flying Fish records. 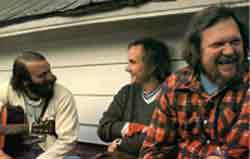 From left to right: Jim, Mike, Tommy Thompson. And introducing Special Guest, Murphy Henry. John Worthington and Brad Leftwich will also be on hand to provide accompaniment..
What more needs to be said? Two friends and legends of Bluegrass/Country/Oldtime music together for an informal evening of music and song with a few of their friends, including instrumental aces John Worthington and Brad Leftwich, and special guest banjoist and singer, Murphy Henry from Virginia. 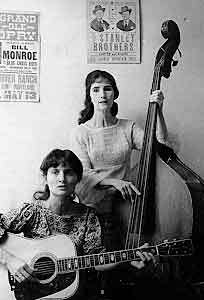 During the early to mid-1960s, Hazel Dickens and Alice Gerrard, two friends living in the Baltimore/Washington DC area started to play bluegrass music together-a heretofore almost exclusively male bastion-creating a style, a repertoire, and a consciousness all their own-and in the process making history. This early music was documented on two Folkways recordings which have recently been compiled into one CD and reissued on Smithsonian/Folkways (Pioneering Women of Bluegrass Music). During the late 1960s and the 1970s they toured together, most often with the Southern Folk Festival, a group dedicated to bringing traditional music as a reflection of southern experience and struggles to southern audiences. During this time Hazel and Alice made two recordings on Rounder Records (Hazel & Alice 0027, and Hazel Dickens & Alice Gerrard 0054). These albums showcased their creative songwriting skills, and their imaginative arrangements of well-chosen material. The Rounder 0027, relying mainly on the two women' duet singing and their own instrumental skill with its more sparse sound, is considered one of the most influential of all their recordings and with its recent reissue on CD, has gained a new life and the chance to influence another generation of musicians. 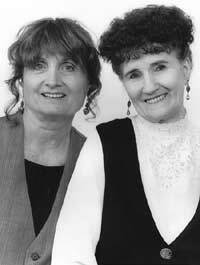 The four albums that Hazel and Alice recorded influenced a generation of musicians including The Judds, Emmylou Harris, Exene Cervenka, Laurie Lewis, Mollie O'Brien, the New Riders of the Purple Sage, and many others, and have become classics. ". . . they'd honed their rustic, spine-tingling delivery to a sharp emotional point. Alice moaned the melodies, while Hazel wailed above in bluegrass harmony. There's no question that Hazel Dickens and Alice Gerrard were an overwhelming influence on many of the young women who were pouring into old-time and bluegrass music during this era. 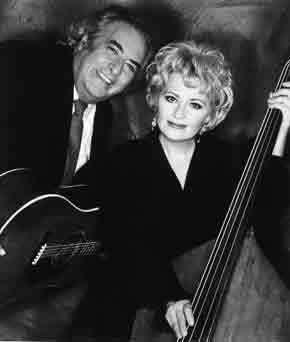 . . Their partnership left a legacy of spine-tingling backwoods harmony; sturdy old-time revivals; and resonant, prowoman original songs." Murphy Henry has been teaching students around the world to play banjo for the past 25 years. Her method of instruction is called the "Murphy Method," a method of learning to play banjo (and other bluegrass instruments) "by ear." She and her husband Red own and operate a mail-order video business which sells Murphy Method instructional videos. publishes her own Women in Bluegrass quarterly newsletter. Murphy was selected for inclusion in the book Masters of the 5-String Banjo, was an instructor at the Tennessee Banjo Institute and the Maryland Banjo Academy, and was the 1998 Keynote Speaker at the International Bluegrass Music Association Trade Show. She was recently elected to the IBMA Board of Directors. This is a special show presented by the North Carolina Museum of Art in Raleigh, in association with The Bull City Cosmic Hoedown - This show is part of the NCMA's Parlor-Concert Series, which takes place at the NCMA on Blue Ridge Road in Raleigh. The North Carolina Museum of Art welcomes Tish Hinojosa, one of America's premier singer/songwriters, for an intimate performance with her trio. The San Antonio native blends the sounds of her Mexican-American and Anglo cultural heritage with extraordinary beauty and poetic power. Hinojosa has been a regular guest on Austin City Limits and A Prairie Home Companion, and she has performed at the White House and for admiring audiences across the country. Her artistic gifts and commitment to Latino causes have brought her accolades and awards from critics and a variety of humanitarian organizations. 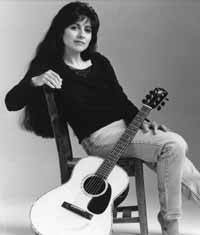 Renowned for moving with equal grace through folk, country, pop and Hispanic idioms, Tish Hinojosa's music has come to be known for completely dissolving the boundaries between cultures, languages and musical genres. Just a few blocks away from the 170-year-old convent chapel where she recorded Dreaming from the Labyrinth/Sonar del Laberinto in 1996, her ninth album and second for Warner Bros., Hinojosa grew up as the youngest of 13 children (11 daughters) in a family held together by her Spanish-speaking parents' faith, pride, and resilience. "There was always music in our house" Hinojosa recalls. "My mother listened to Mexican radio in the kitchen, and she loved the finer, romantic side of Mexican culture. My dad was a mechanic in a cemetery and he loved the fun accordion music and the conjunto tunes on the juke box. Somewhere in between is where my appreciation for our culture came together. Of course, through my older sisters, I was also immersed in the jangly pop of the sixties, Aretha Franklin, the Byrds and the Beatles." Tickets for this show are $10/head and will go onsale FRI May 5 at 10 AM (that's morning time!) via phone and e-mail. Big Medicine plays music that, in the words of one fan, "could cure the common cold." Members of the band are four of the most respected players in traditional music - Jim Collier, LaNelle Davis, Kenny Jackson and Joe Newberry. You may remember last summer when Joe and Kenny played a Cosmic Hoedown House Concert to a wildly enthusiastic old-time-lovin' crowd -- well, if you missed that show, you won't want to miss this one, as this band has a BIG BIG vocal sound from all these fine singers. Jim Collier has been playing old-time music since high school days in Raleigh, N.C. Influenced early on by musicians such as Roscoe Holcomb and Gaither Carlton, he carries a rich tradition of tunes and songs, ranging from hard-driving to sensitive and mournful. Jim is a wonderful guitar player, knock-down banjo player, fiddler, and is a powerful singer. LaNelle Davis is a woman of many talents. Her concrete "ladies," depicting strong, southern women can be seen throughout the southeast, and as far away as Maine. On the musical side of southern culture, her soulful playing has brought her well-deserved recognition, putting her in constant demand. Whether singing or playing the bass, she brings a force and a certainty to her music. Kenny Jackson is a memorable musician. He has spent his musical life seeking out and learning from masters of the tradition. His fiddling, guitar playing, banjo playing, and wonderful singing make him so versatile that his favorite instrument seems to be the one he is playing at the time. He has been on staff at many of the music and dance camps held around the U.S., and also plays with the Ohio-based group the Rhythm Rats. Joe Newberry, who won first place in banjo at the 1999 Appalachian String Band Music Festival, also is well-known for combining traditional music and narrative theater. His latest project is "Good Ol' Girls," a New York-bound play based on the work of Lee Smith, Jill McCorkle, Marshall Chapman, and Matraca Berg. He has served as program director for Folk Music Week at Pinewoods Music and Dance Camp and often teaches banjo and traditional singing at music camps around the country. Big Medicine Band keeps its eye on the past, all the while providing a glimpse of the future of old-time music. Curious about our previous concerts??? House Concert Series is located here.